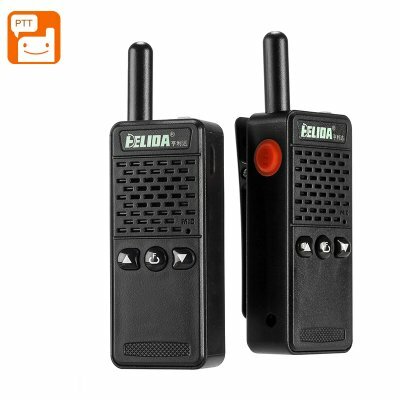 Successfully Added ELIDA T-M2 Mini Walkie Talkie Set - 1KM Range, 16 Channels 430 To 470MHz, Noise Cancellation, 1200mAh Battery, PPT to your Shopping Cart. The Elida T-M2 is a super small walkie talkie that's the size of a lighter. It has a 1KM range and operates on 16 channels. Each of the channels is 12.5 or 25kHz apart and spread out over the 430 to 470MHz frequencies so you should always find access to a free channel for your communications. Utilizing advanced noise cancellation technology the M2 walkie talkie will remove radio interference so you can enjoy a clear channel of communication without distortions or interruptions. At under 40grams and with its slim dimensions this mini warlike talkie measures just 95 by 29 by 18mm and can easily clip to your shirt or be tucked into a pocket. With a set of earphones, this PTT walkie talkie can be worn discreetly by security personnel without drawing undue attention. Ideal for all manner of security, work and leisure activities this compact walkie talkie is a great way to keep in contact with those around you without having to make phone calls or spend money on mobile phone communications. With its build in rechargeable 1200mAh battery, you get plenty of operational time from every charge and won't have to waste money of replacement batteries. This walkie talkie comes with 12 months warranty, brought to you by the leader in electronic devices as well as wholesale cool gadgets and outdoor gizmos.. Channels: 16 channels, 430 To 470MHz.